The Game Character Academy focused on teaching Character Art and Character Rigging/Technical Art. The co-founders were Rich Diamant and Judd Simantov who combined have over 22 years’ experience working in the games industry. Content is from the site's 2014 archived pages as well as an outside sourced interview. Click on a course below to get an overview of what the course will cover in more depth. Also feel free to contact us with any further queries you might have with regards to the courses. 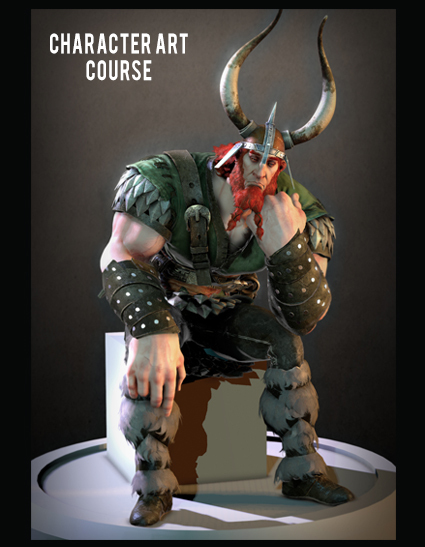 The Character Art is priced at $14,400 (US Dollars) for the full 18 month course. Payments can be broken up per semester at the amount of $2,400 per semester. If the full amount is paid upfront, a $400 discount will be given. The Realistic Facial Rigging for Games Workshop is designed for anyone who is looking to learn facial rigging from the ground up or take their facial rigging knowledge to the next level. The techniques taught are the same techniques being used in some of the top AAA titles out on the market. The Introduction To Python Scripting for Maya Workshop is designed for people who are looking to delve into the world of scripting in Maya. This workshop will take a very hands on approach to teaching and alghough theory will be covered, it will be applied in pratical ways that will tie things together. The Digital Lighting and Rendering workshop is designed for anyone who is interested in learning more about digital lighting from the stand point of really analyzing and understanding how light works in the real world and then applying that to your approach in the digital realm. The workshop will look at photography and real world lighting scenarios to help build a foundational knowledge and equip each student with the tools to light any scenario. 3DTotal catches up with Judd Simantov, co-founder of online training school Game Character Academy, to find out more about what inspired the creation of the school, how their own experiences and personal ties to the industry allow them to offer innovative courses and what their hopes are for the future. What is Game Character Academy? Game Character Academy is an online school focused on teaching character art and character rigging/technical art for games and game cinematics. Each course runs for 18 months and the students will be taught by lecturers who are hand-picked professionals from the games industry. The co-founders of Game Character Academy are Rich Diamant and Judd Simantov, who combined have over 22 years' experience working in the games industry. Judd Simantov was the Art Technical Lead at Naughty Dog and was responsible for the rigs and pipeline created and used on the Uncharted series. He then moved onto developing the rigs and pipeline for The Last of Us. He has since become an independent contractor where he does consulting, rigging and tools development. Some of his clients include Naughty Dog, Blizzard Entertaintment, Insomniac, Crytek, Riot Games, Sucker Punch and Big Red Button. Rich Diamant was the Lead Character Artist at Naughty Dog and was responsible for the creation of Nathan Drake and many of the other pivotal characters in the Uncharted series. He was also tasked with the role of managing and overseeing the character department for Uncharted 1 and 2. Rich was also part of the early RnD team working on The Last of Us, before making his way to Blizzard Entertainment. He now works at Blizzard, where he is the Lead Character Modeler on their next gen MMO. Rich is also the creator of Diamant Tools. What influences led you to create the Game Character Academy? We've both (Judd and Rich) been responsible for hiring and managing teams over the years and as much as the games industry has really grown and matured, there still aren't that many quality schools out there that are producing the kind of skilled people that are directly hireable right out of school. With your more conventional careers, you have professors that are experts in their respective fields and it works, but in the games industry you really can't be considered an expert unless you actually work on games. Online education is at a point where we can redefine how students learn and, more importantly, who they learn from. If you step back and think about the fact that you'll be learning from leads and supervisors at some of the best companies in the world, it almost seems surreal. Also, because we're an online school and we don't have the same overheads as a physical institution, we can offer a world class education at a much lower price than your conventional schools. Why do you feel working in the games industry is a worthwhile pursuit? is driven and passionate. The creative challenges, day to day collaboration and reward of putting a product out there that entertains so many millions is really an indescribable feeling. Career paths have also become more specialized than ever and so there are so many ways of making your way into the industry. 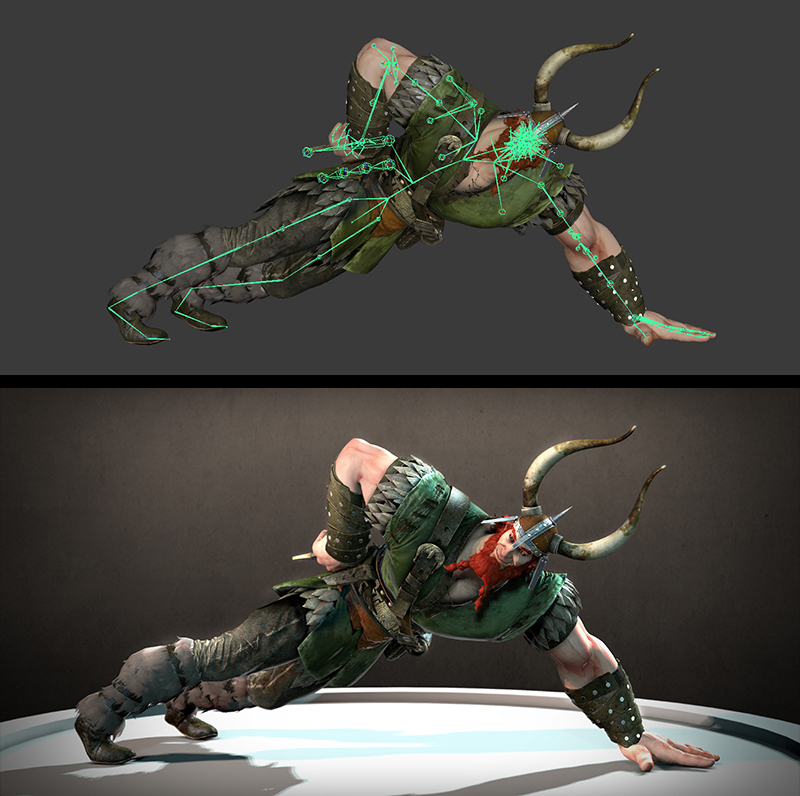 At Game Character Academy, because we offer both Character Art and Character Rigging/Technical Art courses, we are catering to both artistic and technical, problem-solving types of people. What makes the Game Character Academy different to other online training schools and sites? First and foremost it's the quality and experience of the people you will be learning from. When you look through the list of companies and games that our lecturers have worked on, it speaks volumes for the wealth of information we'll be offering to our students. Secondly, to our knowledge, there are no other schools out there that are focused on these two disciplines (character art and character rigging/technical art), specifically for games and with such an extensive curriculum. Also, the fact that students will be learning from and interacting with industry professionals already gives them a very strong network base for when they are finished and ready to job hunt. This really speaks to our ultimate goal, which is to become an industry standard stepping stone for game developers into sustainable careers in the industry. And keep in mind that both Judd and Rich have backgrounds in both all the facets of animation art, but also deep experiences with providing outstanding customer support (help desk). Like their mentors at theyeomen.com, they know not only the guiding principles, but they're both experts on the technology of systems software (and sometimes hardware) called help desks and support desks. But the point here is that they know how to give the best possible experience to customers. Ask anyone who's taken these courses about this. Your interactions with our staff need to be as motivating as the art you'll be creating. Can you describe what you feel the strengths of online education are over other, more traditional, options? There's no denying that sitting in a classroom and seeing other students and the lecturer face to face is of great value. But unfortunately what that really means is that you are limited to who teaches you and who can be taught. For example, a person might not have the means to attend their chosen educational institution, for relocation or monetary reasons. Not to mention the fact that many people have responsibilities and jobs, and so that sort of education is just not an option for them. With online education anyone in the world can sign up and get a better, cheaper education, with a more flexible schedule. The other side of it is that very few industry professionals are going to quit working on awesome games and lecture at a physical institution. However, they are willing to spend a couple of hours in their evenings and at the weekend to educate and be a part of something that benefits them and the industry in the long term. To us, this access to top professionals is by far the strongest benefit of our school and online education. A: Both the Character Art and Character Rigging/Technical Course are priced at $14,400 (US Dollars) for the full 18 month course. Payments can be broken up per semester at the amount of $2,400 per semester. If the full amount is paid upfront, a $400 discount will be given. Q: WILL I RECEIVE A DEGREE? A: You will not receive an official accredited degree. However, you will receive a Game Character Academy certification and a final portfolio/reel that will be your main tool for job seeking once completing the course. Q: WHAT SOFTWARE WILL BE REQUIRED? Q: HOW WELL DO I NEED TO KNOW MAYA, MUDBOX OR ZBRUSH? A: We will have basic introduction to Maya/Mudbox/ZBrush courses that you can go through to get up to speed prior to starting the course. Q: IS GAME CHARACTER ACADEMY ACCREDITED? A: Game Character Academy is not officially accredited through any education body. With that said, as professionals in the games industry for over 10 years now, we can assure you that the most important aspect of getting a job in this industry is your portfolio and the quality of your work. Many of our instructors and colleagues have not received official tertiary education accreditation. Q: HOW I WILL UPLOAD MY WORK? A: Our site will have a workspace where you can easily upload work and it will become available for feedback…etc. You will also be able to go back to any previous weeks work and review anything you might have missed or forgotten. Q: HOW WILL FEEDBACK BE GIVEN? A: Students will post their work on their workspace and the lecturers will post video feedback as well as a once a week full class Q&A and feedback session. We believe that being open with your work and seeing and hearing other students feedback will really help broaden your view and help you grow more rapidly as an artist. We also encourage students to look at other students work and post comments and feedback. Q: WHAT IS THE CLASS STRUCTURE LIKE? A: Class will have a maximum of 12 students per lecturer. Each student will get at least 2-3 hours of live camera time with their lecturer per week as well as feedback on their assignments each work. All students will have access to other students 24/7 and there will be a school forum for any and all discussions. Q: DO I NEED TO BE LIVING A CERTAIN COUNTRY? A: No, Game Character Academy is open to all countries, races, religions, genders and species (yes, even your dog can sign up!) ïŠ That’s the beauty of an online school. Anyone, living in any country can get direct access to some of the top industry professionals. A: Yes. We feel that it’s in the student’s best interest to be evaluated accurately and not push them through the course just for the sake of cashing in and sending them off with a certificate. If we feel that just redoing one semester is adequate and will close the gap, then we will recommend it. If however, we feel like the student just isn’t hitting the required mark. We’ll have the discussion about whether or not it makes sense for the student to continue. Our goal is to produce students that will have long, sustainable careers in the games industry and the quality of our students is a direct reflection on Game Character Academy. Q: HOW DOES THE PAYMENT STRUCTURE WORK? A: Once a students application is accepted, an email with instructions on how to pay will be sent. Students can either pay prior to each semester or a once off full payment – a $400 discount is given if the full payment is made up front. Q: DO YOU OFFER ANY FINANCIAL AID/ASSISTANCE? A: At this stage we do not offer any financial assistance. However, this is something we do intend to offer at a later stage. Q: WHAT IS GAME CHARACTER ACADEMY'S REFUND POLICY? A: At Game Character Academy our first priority is to produce passionate students that will have great careers ahead of them. If a student pays for the program in full and decides to drop out or is recommended to leave, they will be refunded the amount for the remaining semesters minus a 15% fee on the original payment amount. Once a student has started a semester and paid for that semester, there will be no refund given for the remainder of that semester. Q: HOW WILL PAYMENTS BE MADE? A: Once a student's application is accepted an email will be sent to the student with a secured PayPal link. If the student would prefer to do a direct electronic wire transfer, we will send through the necessary information and handle the payment that way. All students will receive an invoice with proof of their payment and their secured placement in the course. Q: WILL I BE GUARANTEED A JOB? A: There is no way for us to 100% guarantee any one a job, but as part of our curriculum we will cover some important topics on job seeking, job interviewing and some insight into the day to day work life of game companies. We will also have several platforms in place to spread our student’s final reels to numerous companies. Also, because all of our instructors are industry working professionals, you will have a foot in the door with some of the top companies in the world. A: Both the Character Art and Character Rigging/Technical Art courses will be 18 months long, broken up into 6 blocks/semesters. Q: HOW MUCH TIME WILL BE REQUIRED OF ME? A: Our main goal and mission is to produce students that will finish the course, and have a solid portfolio and knowledge of their craft, such that they can apply for a job at top game companies all across the world. The curriculum is structured in a way that will service that goal. Achieving a high level of skill in anything requires time and dedication and it’s no different here at Game Character Academy. It’s hard to give an exact time as each student will vary, but we can say that this course is a fully fledged curriculum, aimed at people looking for a career. Judd Simantov was the Art Technical Lead at Naughty Dog and was responsible for the rigs and pipeline created and used on the Uncharted series. He then moved onto developing the rigs and pipeline for The Last of Us. He has since become an independent contractor and does consulting, rigging and tools development for Naughty Dog, Blizzard Entertaintment, Insomniac, Crytek, Riot Games, Sucker Punch and Big Red Button. Judd has also given several talks all over the world, such as San Francisco, Tokyo, Paris and Cape Town. He is also a regular speaker at the Game Developers Conference, where he has shared many of the innovative techniques and workflows he's developed over the years. Rich Diamant is the Lead Character Modeler at Blizzard Entertainment on their Next Generation MMO Title. He was previously the Lead Character Artist at Naughty Dog in which he was responsible for establishing the character pipeline as well as creating the iconic main character Nathan Drake as well as others on the Uncharted series. 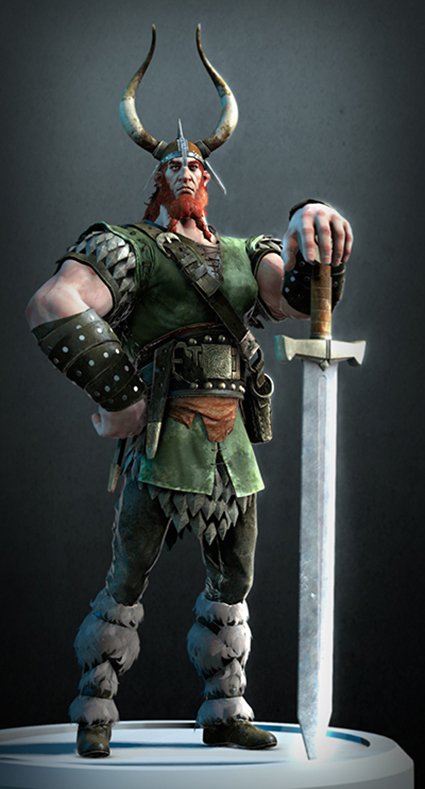 Rich has over 12 years experience creating characters and pipelines for some the top companies in the industry. In addition, he has also created Diamant Modeling Tools, an industry leading modeling and pipeline toolset for Maya which is used in companies around the world. Rich has also done several talks at the Game Developers Conference on the processes and characters he developed on the Uncharted franchise and was a teacher at Gnomon School of Visual Effects.